Attention Firefox users. 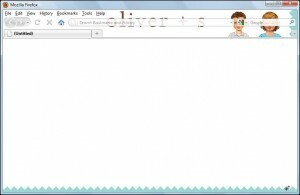 You already dress your kids in Oliver + S designs. 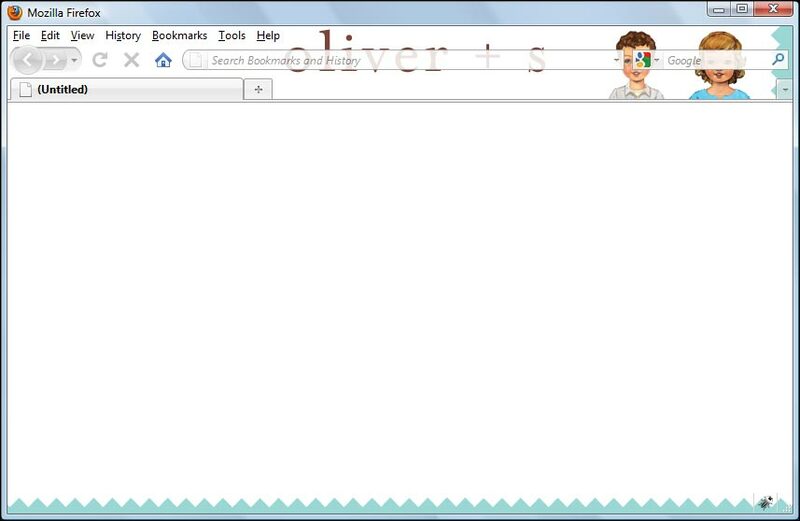 Now you can dress your browser in Oliver + S too. We’ve recently released our first two Firefox personas. One features Pearl, our spool dog. The other (shown above) features the Oliver + S paper dolls wearing our new Spring 2010 styles. You can get them as free downloads from the Mozilla Personas site. Enjoy! I love the idea but the Google band across their eyes doesn’t quite work for me. I think I would prefer just the Oliver+S scissor motif or something like that. Just my .02! The band across the eyes only shows if your monitor is smaller or perhaps more square – our large widescreen catches both dolls perfectly. Oh, cool – thank you for letting me know! I had already chosen a cute firefox personae (japonese tatoo) but i think i might change it for yours!